I’m so excited!!! 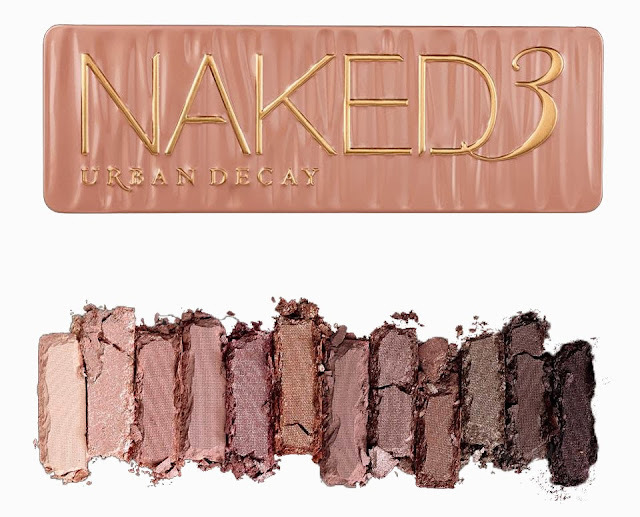 Ok, for all you makeup lovers out there, you all know that Urban Decay came out with a third palette from their Naked line! I’ve been wanting to get one of the Naked palettes for quite some time and I just couldn’t decide which one to choose..after all, it still is quite an amount of money for me to give out at once and I just wasn’t totally happy with all of the shades…meaning, none of the two previous palettes had shades I would always wear. And it would be stupid to buy a palette for just half the shadows, right? I guess I’m one of the lucky ones that will achieve the “naked” look with these shades. Because they’re more on the pink side, many people say they aren’t actually neutral…but actually, it depends on your skin tone, doesn’t it? On me, they’ll look pretty natural and neutral and I think I’ll get so much use out of it! Are you excited for this palette? Will you get it? I guess I’m one of the lucky ones that will achieve the “naked” look with these shades. Because they’re more on the pink side, many people say they aren’t actually neutral…but actually it depends on your skin tone, doesn’t it? On me they’ll look pretty natural and neutral and I think I’ll get so much use out of it! Previous Post Splurge or Save: What it is! Next Post Splurge or Save: Flats Edition!